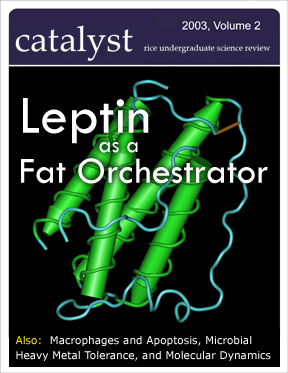 Catalyst's second issue features four articles written by undergraduate students at universities in both the US and UK. The reviews span a variety of topics from molecular physiology to molecular dynamics. Click on the picture to the left or on the link above to be taken to the on-line edition. 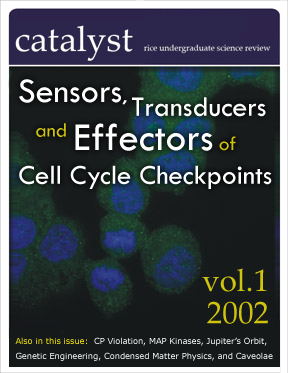 RUSR's inaugral issue was published in the spring of 2002 and featured seven articles written by undergradauate students around the US and also included a special faculty review written by professors specifically for an undergraduate audience.